Through some 120 works, this exhibition presents the artistic output of Marc Chagall, El Lissitzky, Kazimir Malevich, and others, exploring a little-known chapter in the history of modernity and the Russian avant-garde. 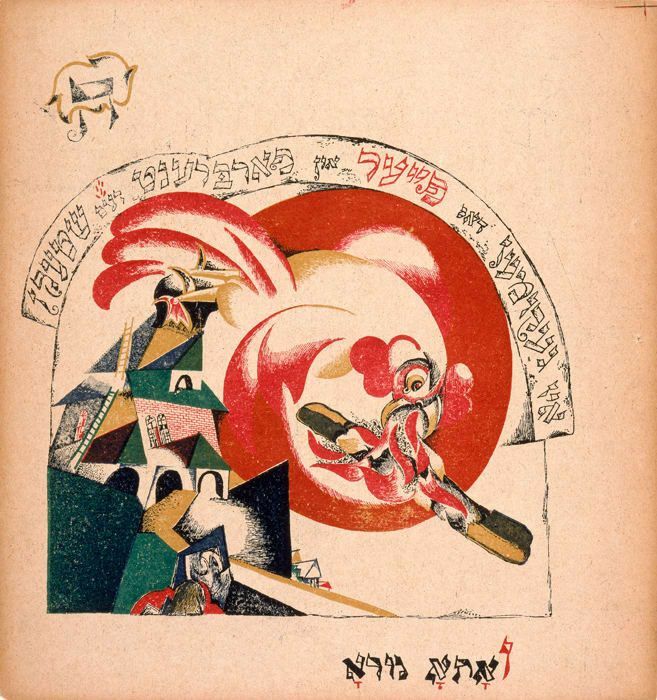 The Russian Revolution of 1917 had an enormous effect on Marc Chagall. The passage of a law abolishing all discrimination on the basis of religion or nationality gave him, as a Jewish artist, full Russian citizenship for the first time. This inspired a series of monumental masterpieces, such as Double Portrait with Wine Glass (1917), celebrating the happiness of the newly married Chagall and his wife Bella. As the months went by, Chagall felt the need to help young residents of his native city of Vitebsk (in present day Belarus) lacking an artistic education, and to support other Jews from humble backgrounds. The year 2018 marks the 100th anniversary of Chagall’s appointment as Fine Arts Commissioner for the Vitebsk region, a position that enabled him to carry out his idea of creating a revolutionary art school in his city, open to everyone, free of charge, and with no age restrictions. 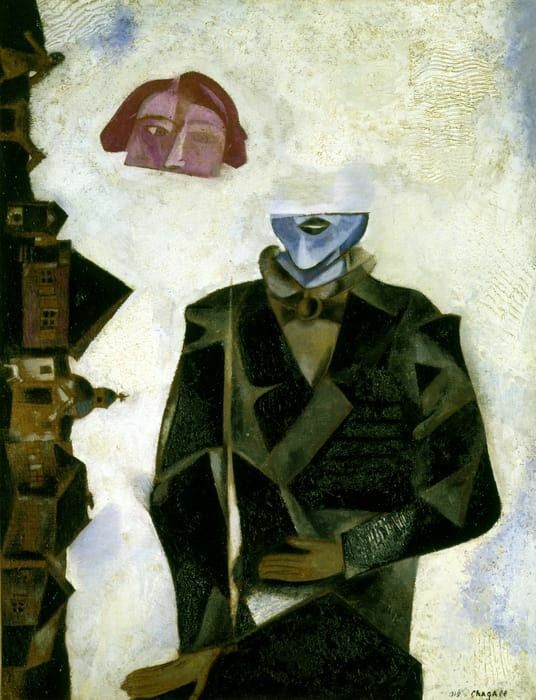 The People’s Art School, founded by Chagall in 1918, was the perfect embodiment of Bolshevik values. El Lissitzky and Kazimir Malevich, leading exponents of the Russian avant-garde, were two of the artists invited to teach at the school. 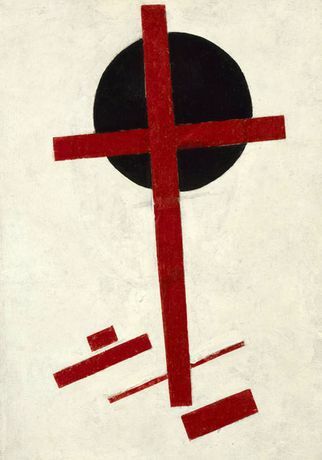 Lissitzky took charge of the printing, graphic design, and architecture workshops, while Malevich, leader of the abstract movement and founder of Suprematism, was a charismatic theorist who galvanized the young students. A period of feverish artistic activity followed, turning the school into a revolutionary laboratory. Each of these three major figures sought, in his own distinctive fashion, to develop a “Leftist Art” in tune with the revolutionary emphasis on collectivism, education, and innovation. Chagall, Lissitzky, Malevich: The Russian Avant-Garde in Vitebsk, 1918-1922 traces the fascinating post-revolutionary years when the history of art was shaped in Vitebsk, far from Russia’s main cities. Through some 120 works and documents loaned by museums in Vitebsk and Minsk and major American and European collections, the exhibition presents the artistic output of Marc Chagall, El Lissitzky, and Kazimir Malevich, as well as works by students and teachers of the Vitebsk school, such as Lazar Khidekel, Nikolai Suetin, Il’ia Chashnik, David Yakerson, Vera Ermolaeva, and Yehuda (Yury) Pen, among others. Chagall, Lissitzky, Malevich: The Russian Avant-Garde in Vitebsk, 1918-1922 is organized by the Centre Pompidou, Paris, in collaboration with the Jewish Museum, New York. Chagall, Lissitzky, Malevich: The Russian Avant-Garde in Vitebsk, 1918-1922 is organized by the exhibition curator, Angela Lampe, Curator of Modern Art, Musée National d’Art Moderne, Centre Pompidou, Paris, in collaboration with Claudia J. Nahson, Morris & Eva Feld Curator, The Jewish Museum, for the New York presentation. The exhibition is being designed by Leslie Gill Architect. The exhibition graphics are being designed by Topos Graphics. Chagall, Lissitzky, Malevich: The Russian Avant-Garde in Vitebsk, 1918–1922 is supported through the Samuel Brandt Fund, the Robert Lehman Foundation, the Centennial Fund, and the Peter Jay Sharp Exhibition Fund. The publication is made possible, in part, by The Malevich Society.